First off, YAY! $5,500! 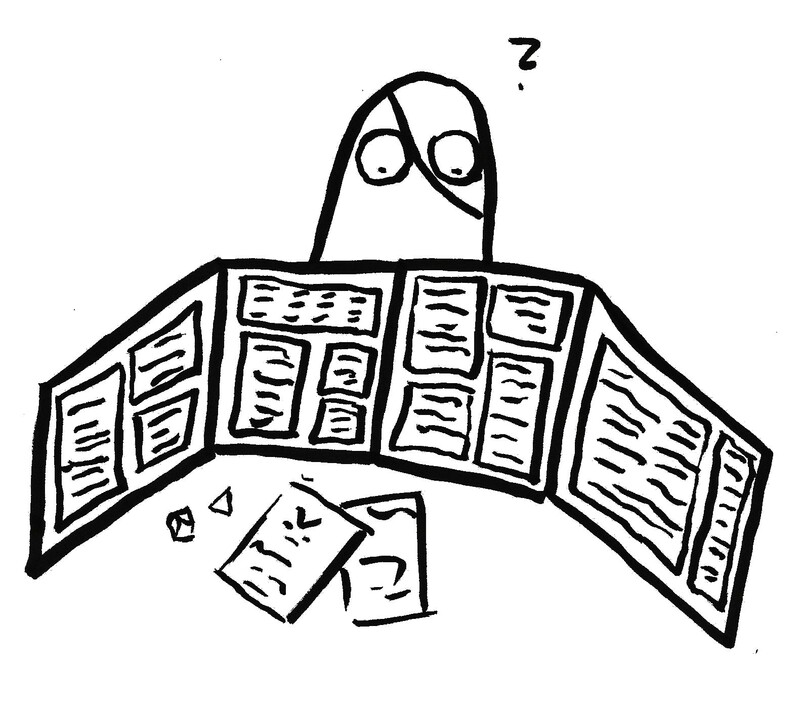 I'll be adding the DM screen reward option in to the mix and this is, naturally, available to be added to any reward. The screen will be made from 1/4" wood and measure 8.5" tall (sheet of normal paper short-ways). It is comprised of 4 sections that will be either finger-hinged or metal hinged together for a total length of 44" inches (possibly a smidge longer depending on hinge testing). The player side will be engraved with your preference of dragons, stone wall, greenery, swirls or left plain as per your request. In the end, I'll put whatever you prefer on the back side as this is probably the easiest of the engravings to set up. 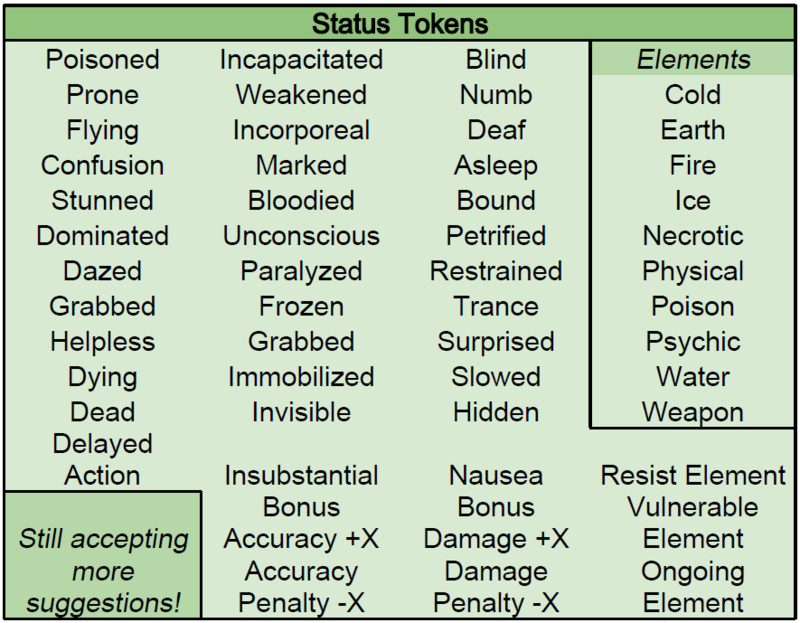 The DM side can be left plain for you to tape, glue and stick things to or have desired rules engraved into it. 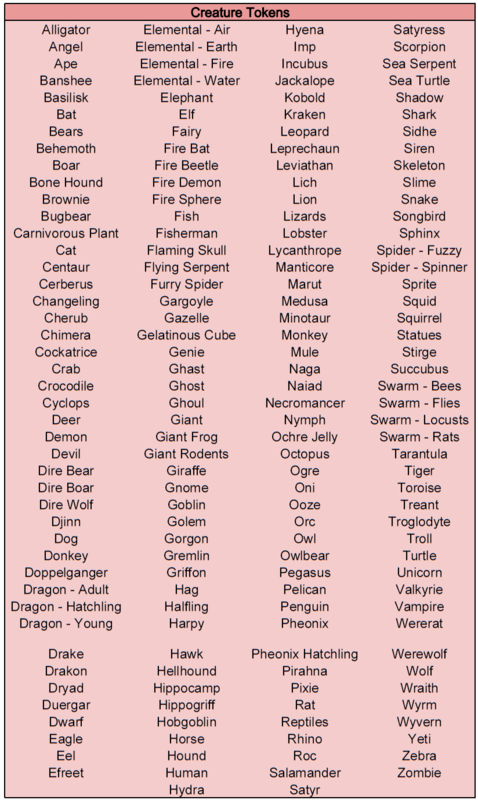 I won't go into detail on them, but I will put whatever system's info you prefer onto it, D&D to Pathfinder and beyond. And I totally almost forgot the price (thank you preview button)! For the sake of simplicity, all options will be available on any size token. The much requested Halfling has joined the crew as well as many others! 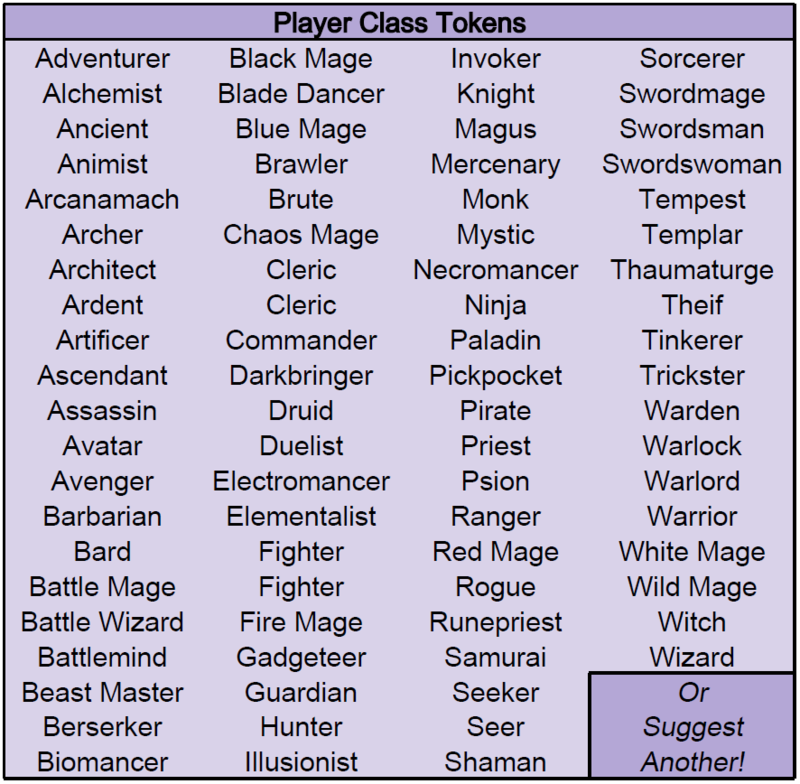 You will now see a more detailed class token list and an entirely new status token list! I'm still working on the more detailed tiles (anything with objects on the ground). These are more difficult as I intend to have the objects engraved like a relief. I am not sure how to render this in any program other than the engraver as much as I'd love to. 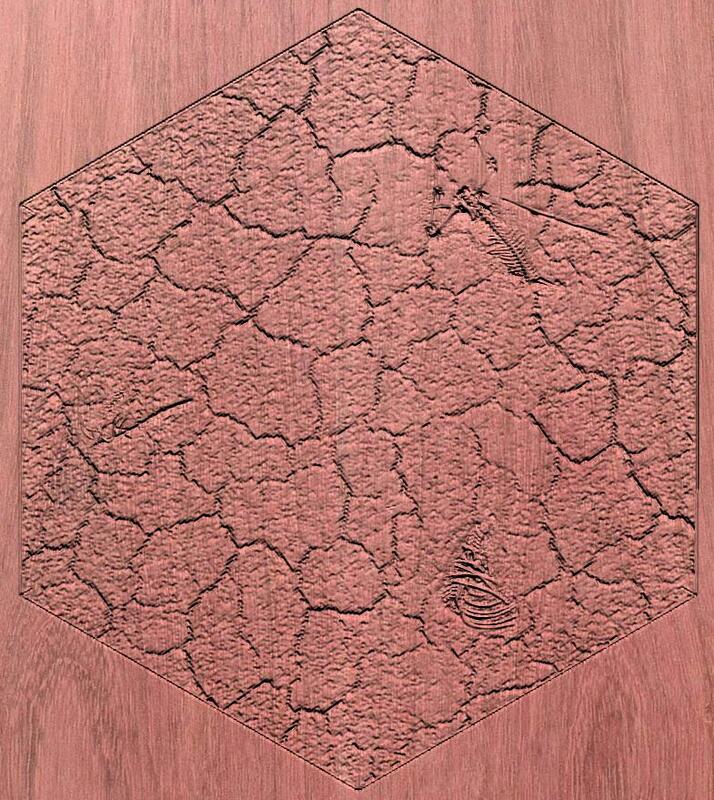 You can take a look at the Catan desert tile to get an idea of objects over a background, but this isn't accurate as I hope to make the skeleton and debris appear to sit above their backgrounds. Now! For some eye candy for the normal textured terrains! First off, some smoothed stone ready for any situation where the players ask what the cave walls are made of AGAIN! .Occasionally the players manage to find their way out of the darkness and into a town. In that case, we have some gravel/stone road material handy. Hopefully those give some better insight into what I have planned for the tile sets. Thanks again and have fun, folks! Time runs short!